In Melbourne everyone knows the name Guy Grossi. I guess it helps that his restaurant takes his name. 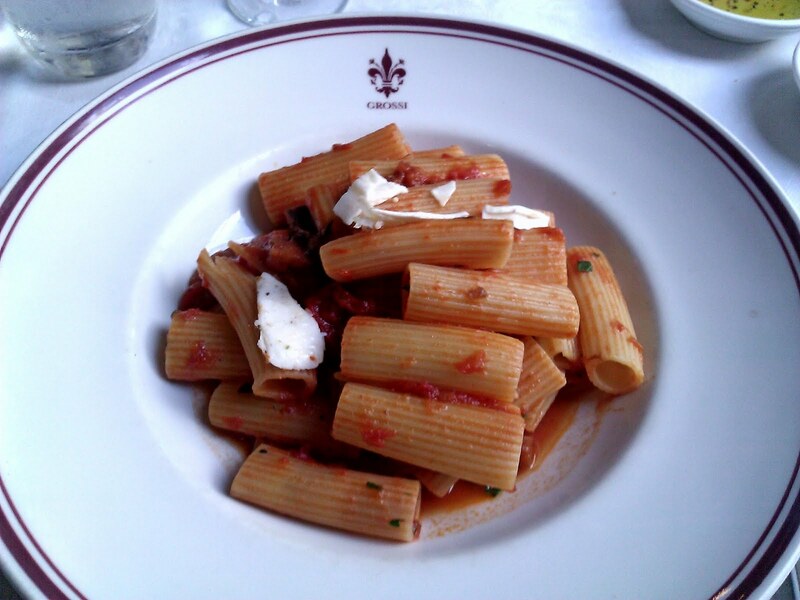 Over the years, I have been to Grossi Florentino many times and it continues to serve reliable Italian food. The other week we enjoyed a quick weekday lunch in the Grill. Even the downstairs section of this famous eatery has an air of formality. The $35 express lunch menu did not appeal but the waiter politely checked with the kitchen what could be made vegetarian, and returned recommending a Napoli sauce with eggplant on penne. The pasta was good; well cooked, tasty and fresh. 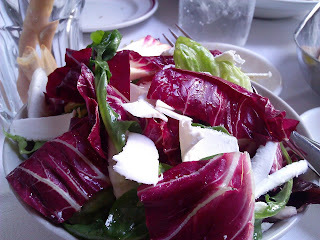 We also had a simple but well dressed salad. When you go to Grossi Florentino you are paying for the atmosphere. There are many fabulous pasta restaurants in Melbourne but not all have the Italian style and white table cloths.